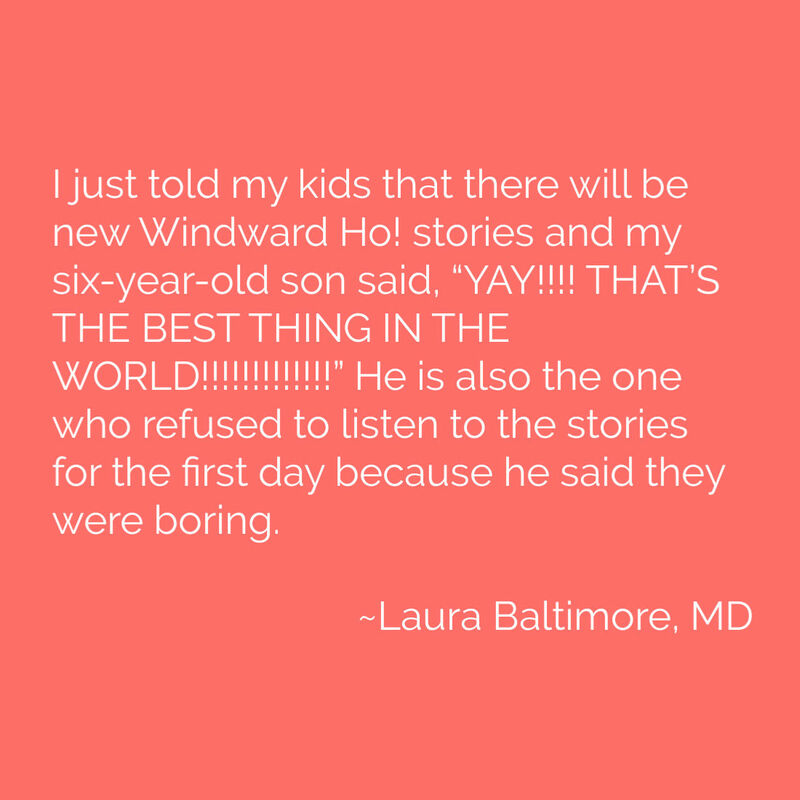 I just told my kids that there will be new Windward Ho! stories and my six-year-old son said, “YAY!!!! THAT’S THE BEST THING IN THE WORLD!!!!!!!!!!!! !” He is also the one who refused to listen to the stories for the first day because he said they were boring.